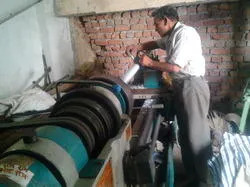 Ambika Techno Industries is Established in the year 1990, at Faridabad (Haryana, India), We are engaged in manufacturer of a qualitative assortment of Abrasive Brush, Disc Brush, Deburring Brush, Nylon Brush and many more. We are backed by a well-organized infrastructural unit that sprawls over a vast area of land. Our state-of-the-art infrastructural facility is further divided into various sub-departments such as production, designing, quality control, research & development, warehousing and packaging, sales and marketing, etc. All these units are equipped with advance technology and latest machines & tools in order to finish the bulk and urgent orders of our clients within promised time frame. We make prominent changes regularly to move with the latest developments that has occurred in the industry. Apart from these, we have diligent professionals that work hard in order to offer flawless range at clients' end. Our workforce is highly qualified and skilled with rich industrial knowledge & possess huge experience in their respective domain. Professionals of team work in the most professional and dedicated way across various functional departments that aid us to achieve an operational efficiency in our production processes. In addition to this, we conduct regular training sessions and workshops to keep our professionals abreast with the current market innovations. Being a quality-centric firm, we have been able to satisfy our precious clients in the best possible manner. 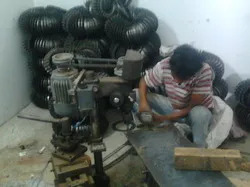 Our workforce manufacture the offered products in conformity with the defined international quality standards and norms. Further, our skilled quality controllers examine the products on various quality parameters using modern testing tools and devices to ensure their flawlessness. Being a client-centric firm, our prime focus is to achieve the utmost client satisfaction by offering them quality assured products. In addition to these, we deliver our products in a high quality packaging material to ensure safe transit of products at clients' end. Our easy payment modes, transparent dealings, client-centric approach, competitive price range and ethical business policies have placed the firm on topmost position. 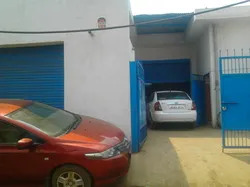 Our company is also outfitted with advanced research and development unit that help us to conduct in-depth research and development activities related with our quality products. 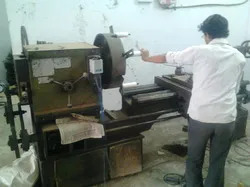 With the help of our R & D unit that is equipped with all the latest machines, tools and equipment, we are able to undertake all the research related work for our range. Our team of experts strives hard to understand the various requirements of our clients and provide all the products in compliance with the same. We have earned a reputed position in the industry for providing high quality range at reasonable cost. Our organization is fostered with a skilled team of professionals who makes sincere effort towards the growth of the company.